THANK YOU MY LOVES GIVEAWAY!! I have 477 Followers, I posted EVERYDAY- missing 0!, and I used at least of half of my untireds. I stocked that pile back up, though! 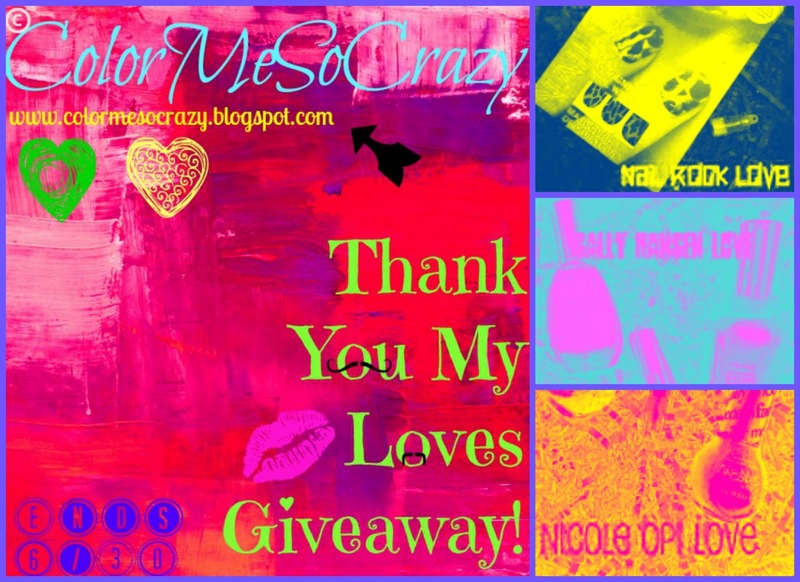 So as promised, here is my giveaway to you for loving me so much! Only eligible to my US followers- sorry International ladies! Stay tuned. Giveaway Ends 6/30 at 11:55pm. I will pick a winner within a week of the giveaway ending. There are 4 mandatory entries. You can fill out the rest for some extra points! Please no cheating! Please no follow/unfollow shennanigans! I bought all prizes for the giveaway with my own monies! Once the prizes leave my pretty little house, I have zero (0) responsibility for the package. This includes getting lost stolen, broken, spilled, scratched, dented, damaged, etc. nicole opi---tutorials are always fun! Congrats on reaching your May goals. Some new goals could be: 1) tutorials, maybe twice in a month; 2) try a manicure that you've never done before and post photos of each step (that'll give the rest of us hope if you have errors); and 3) swatch ten of your untrieds. I love to see even out of circulation colors swatched. I'll go with the Sally Hansen Love, I'm into "coffee" manicures lately. I also agree on about the tutorials and more nail art? Swatch more indie polishes? Hit 600 followers? Love the Sally Hansen Love! And thank you for the giveaway! I love that you met all your goals, congrats! I think you should set a goal for more followers. I am sure you can hit 700! I love that you set goals and met them all this month! For June I think you should use half of your untrieds again (since you said you stocked them back up), try some summer neon water marble or nail art, and maybe do some pictorials? I think 700 is a good goal for followers! I would like to see more indie reviews and swatches. If I win, my first pick would be the NOPI pack. I always love to see tutorials on manis that I'm not sure I can recreate! Of course, swatches of polish I don't own are great because I often check blogs for pictures before I buy it to make sure it's something I'd like!!! IF I would happen to win, I would pick the Sally Hansen pack! I would love to win the Sally Hansen prize. And I love to see unique nail art. A good goal for July would be to take some swatch pictures. I would love to win the Nicole by OPI polishes. I love stamping. Love the konads. Would love to win Nicole by OPI. Swatch all of the untrieds! Tutorials would be a great goal!! I would love the Sally Hanson Love kit! 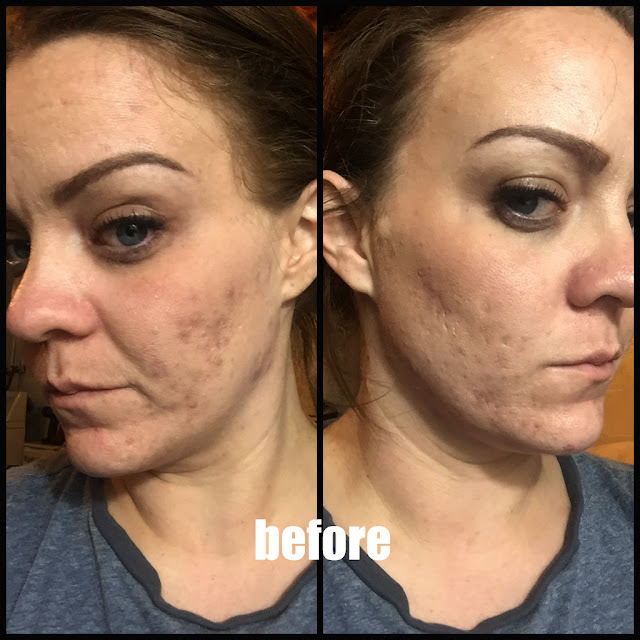 I love tutorials, they are my favorite I love getting new ideas, reviews are always great then I know what to look for when I'm shopping...Congrats on reaching your goal. Do a nail art challenge! I'd like the Sally Hanson Love pack. One of my goals is to comment on other blogs at least twice a week. Opps, I forgot to mention which prize I'd like! All of them are awesome, but the Sally Hanson one is my favorite. Comment more on other people's blogs. I'd like the Sally Hansen prize. I with a lot of your followers, I would like to see more nail tutorials. I love a lot of your nails but not sure how to do them. Either the Sally Hansen or the Nicole OPI! Tutorials are always great..and you are sooooo close to 500!! That should def be a goal!! :) Sally Hansen Love would be my pick. Nicole OPI. A good goal for July is to rediscover some old favorites from your stash! Like the Nicole pack best. I love the 3rd prize pack, but they're all awesome :) And a goal...maybe try to increase your Bloglovin followers since GFC is going away? I always love tutorials since I stink at nail art, but I keep trying! All the prizes look great but I love me some Lustre Shines! I would love to see some colors paired together that you normally wouldn't think to mix. I would love to win the NOPI! Or the Sally Hansen really. Nail strips don't work on my nails though. Congrats, love the blog. I would love to win the Sally Hansen. It would be nice to see colors that would match universal skin color. I am a caramel tone and I know hot pink wouldn't look right with my skin tone. It would be nice too see nail colors that would look great on all skin color types. I have to agree with tutorials I have two left hands when it comes to doing these art things! The Nicole OPI is very lovely Id like to win that! I would love the Nicole by OPI package & congrats!! I love nail art & comparison posts/ dupes. Maybe tutorials? I love to see tutorials!! I love the nail rocks prize! keep on blogging and making great posts! keep using the untried so that they are forever tried. sally hansen one!